I decided to walk to the farmer’s market with Lulu. It was going to take us a solid hour, which I was really looking forward to since it was one of these perfect sunny days of late summer, early fall. Lulu was chatty, making all sorts of ma ma ma da da sounds in my ear, and I was singing silly French songs that I was just making up as the words came out of my mouth. ” ♪ ♪ C’est ♪ ♪ jeudi ♪ et Luluuuuuu ♪ et mamannnnn ♪ ♪ vont au marché ♪ ♪ tra la la la”. Really silly! But it made her laugh so joyfully that I didn’t care — we formed a happy pair and that’s all that mattered on that sunny day. I told her about the farmer’s market. And to start, about the beautiful eggs that we were going to buy. “Tu verras, ce sont les plus beaux oeufs du monde!” I sang to her. (You’ll see, they are the most beautiful eggs in the world). I really meant it! The first time I saw them, I fell in love with their color — soft shades of blue, beige and green — and the deep orange yolk they reveal once they are cracked open. The taste is incomparable! “What kind of chickens lay these eggs?” I had felt curious to ask the young pretty woman selling them. “They’re called Araucanas, ” she had responded. Her smile stretching her mouth wide open revealed perfectly aligned white teeth that contrasted with her tanned face and long dark curly hair. She’s got the healthy look of someone who spends a lot of time outside, I had thought watching her pack my eggs carefully. I liked it. It had me dream again of the life in the countryside. Then I told Lulu about the tasty crab apples, the corn and eggplants, the Heirloom tomatoes and French beans, yellow zucchini and carrots that we would buy too. When we arrived on the square, the place was already buzzing with activity even if the market had just opened. I imagined how pretty it would be to look at the place from above, and see this patchwork of bright colors and people busy like ants. We strolled around to look at the vegetables and fruit, comparing them from one stand to the next. We bought eggs and apples, different varieties of zucchini, raspberries and peaches, and I packed up a few beautiful purple eggplants, tomatoes, fingerling potatoes, French beans and carrots as well. The gorgeous produce inspired me so much that thoughts of menu ideas filled my head, making me seriously forget that I would have to carry everything home — and would just as donkeys do. It’s funny how, whenever I go to the market, I always end up coming back with much more than I plan to buy. Do you too? But that’s when I saw them. Those lovely plums neatly arranged on a display in the middle of the market. You see, those plums were just calling my name with their attractive subtle shades of pink and fushia. They were too cute to walk by and go unnoticed. So, of course, quite predictably, I stopped. I leaned towards Lulu and drawing my face close to hers, I whispered as if I were telling her an important secret: Regarde ces jolies prunes! 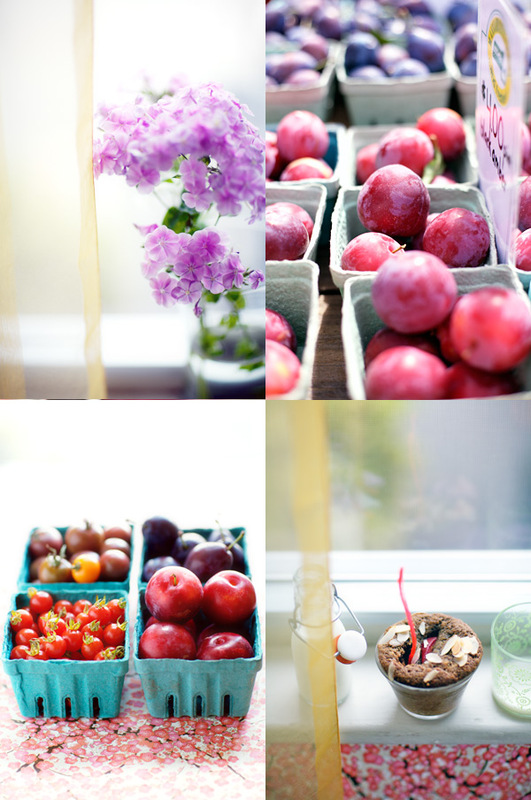 (Look at those pretty plums!) Ce soir, je te préparerai de la compote de pommes et de prunes avec de la cannelle et de la vanille.” (Tonight, I’ll prepare stewed apples and plums with vanilla and cinnamon). She smiled. But of course, it’s most likely the buzz of the market that she found funny. But as promised, when we were back home, I stewed the plums for her. I really wanted Lulu to be the first one to taste our plums. The fruit wasn’t too sweet, perhaps still in need of maturation under more sun, but at the speed by which Lulu ate it, she obviously didn’t seem to find it too tart. In fact, she kept opening her mouth like a bird, asking for more. “C’est si bon que cela?” (Is it that good?) I asked her, laughing while giving her the last spoonful left. It was really nice to watch. And then, it’s really what made the story of these plum cakes. And how making natural foods for Lulu inspired me to bake. I felt like baking simple plum cakes that I would be able to eat when they are still warm from the oven. Still to this day, my mother keeps telling moi-at-forty-years-of-age that doing such a thing is silly and a bad idea and that it will hurt my stomach. But I don’t believe it. Or I don’t want to hear it. And I am sure that Lulu won’t want to hear that from me either when she is older. I used buckwheat flour (because it’s one of my new favorite flours to bake with) and quinoa flour, roasted ground walnuts, stewed plums, a couple of my favorite eggs and a few other things. And do you know what? Eating the cake out of the oven was exactly the right thing to do. Actually, I ate two, dreaming about what Lulu and I would find at the market the following week. Slice the plums and remove the pits. Keep 1/4 of one plum on the side. Steam the rest of the plums with the vanilla and cinnamon until the fruit is tender and you’re able to remove the skins. Discard the vanilla bean and cinnamon stick, and remove the skins from the plums. Purée the flesh; keep aside. Grind the walnuts finely. Using a non-stick frying pan, dry roast the walnuts until fragrant (watch carefully to avoid that they burn). Let cool. Preheat the oven at 350 F. Butter 8 1/2 cup molds (or whatever molds you want to use) and coat them with flour. Remove the excess; set aside. In the bowl of a stand mixer, beat the eggs with the sugar until the batter is light. In another bowl, combine the quinoa and buckwheat flours with the walnuts. Add the baking powder and baking soda; set aside. Add the butter to the egg batter and the stewed plums and combine. Then add the flours and mix until just homogeneous. Divide the batter between the molds and top with a few slices of plums and sliced almonds. Bake the cakes for about 25 to 30 minutes (or until the blade of a sharp knife inserted inside the middle comes out dry. Eat as you please. But I think the cakes are best eaten on the day. A lovely Lulu story, Béa. I plan to make these plum cakes this week. J’adore les prunes! All of your gluten-free cakes are delicious. This weekend at my farmer’s market I bought an armful of corn and used some of it in your corn soup with fresh herbs and paprika recipe. There were smiles all around the dinner table. Merci! Beautiful post! I felt like I was right there with you and Lulu. This recipe has now been added to my “must, must do” list! my mother used to tell me eating cakes piping hot from the oven (and cookies and bread) would give me a tummy ache too! i wonder if i’ll tell my children that. thank you for taking us to the market with you. i go every week as well, and often buy too much to carry, but we always eat everything, so there’s no harm done. Lovely story Béa, we have a lavender Araucana hen, but she is a mischievous little bantam always broody and we rarely find where she has hidden her beautiful blue/green eggs, hehe. You and Lulu remind me of my mother and mysel when she’d take me to the market behind the house! I am lucky now to get fresh eggs from a friend nearby and we love love love how tasty they are, especially in cakes! Lovely little cakes! Yes, still warm from the oven is the way to go! Lovely post, I think I can smell the cakes! We have great varieties of plum too, my favorites are the “vanilla” plums, with their deep red color and their outstanding smell!…I will definately try this recipe with them (looking forward to go to the market on Saturday)! 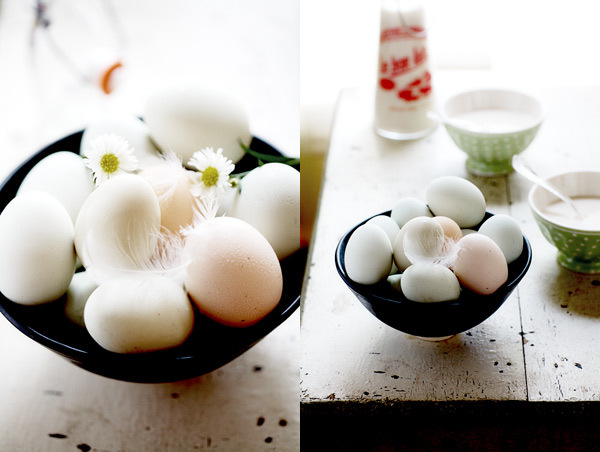 Gorgeous pictures and such an uplifting post – those eggs really must be the most beautiful in the world! beautiful and inspiring as usual. Juste une petite question: How do you manage to buy groceries, hold your daughter and take those painfully beautiful pictures? are you wonder woman? Can you tell me where to buy the superpowers? Thanks for the tour at the farmer’s market! thank you for these lovely pictures and recipe. waouh, une fois de plus les photos sont magnifiques…je retrouve vraiment tout ce que j’aime dans votre blog! felicitations! Awww this post reminded me of comptines we used to learn at school in France. Walking to the market is the perfect time to sing silly songs! 🙂 Gorgeous eggs! Your photos are always so beautiful..I just made a plum tart also and I think they have become one of my favorite fruits.. This cake looks and sounds so lovely! love the wonderful pics and the quality of the food 🙂 plum cakes looks great!! I love how you describe the day with your daughter. Very sweet. Beautiful photos and a lovely story! You cheered me up! 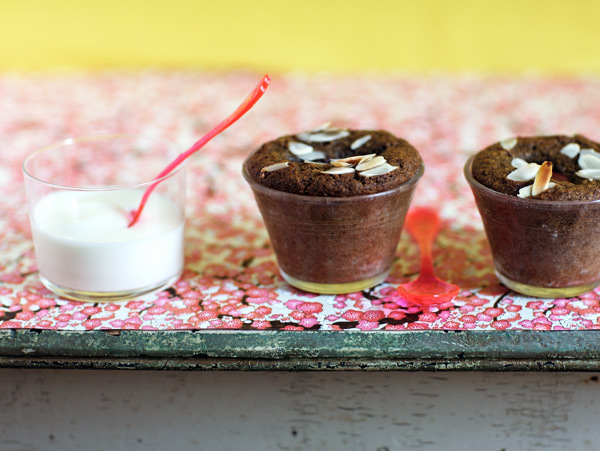 I really liked the idea of baking the cake in individual glass molds…looks fantastic! So beautifully told and so deliciously photographed – thank you for brightening the day! I’ve only recently come across your blog and I am so inspired every time I stop by! Those plum cakes, ils sont parfaits ! Great idea for an ending summer. Thank you! Oh, I do the same thing – buy way to much at the Farmer’s Market. Those eggs look just like the kind I get from a lady down the road. They are wonderful, with real orange yolks. 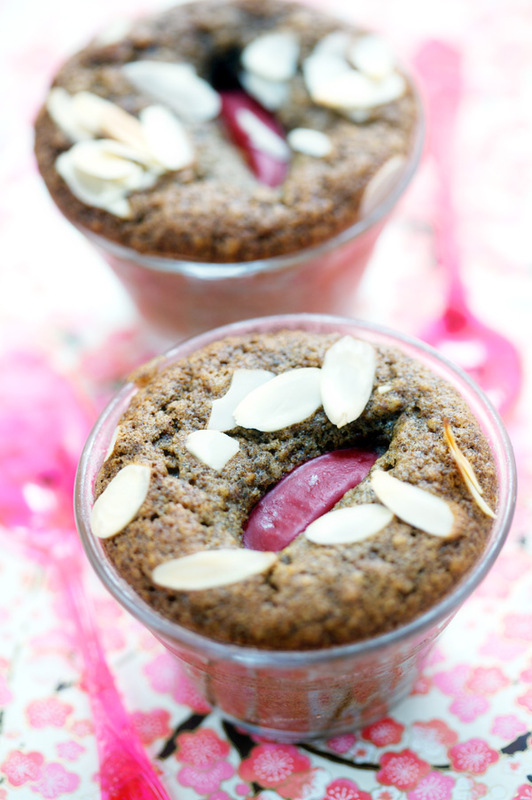 I love your plum cakes – such healthy ingredients! I’ll have to start baking with buckwheat flour. You make eggs look like art. It’s gorgeous! They look like eggs I’d get up in the Lake District in England. Beautiful! Lovely pictures. I so soo love markets…and everytime I get a chance to go to one where I live in the Netherlands, I do. 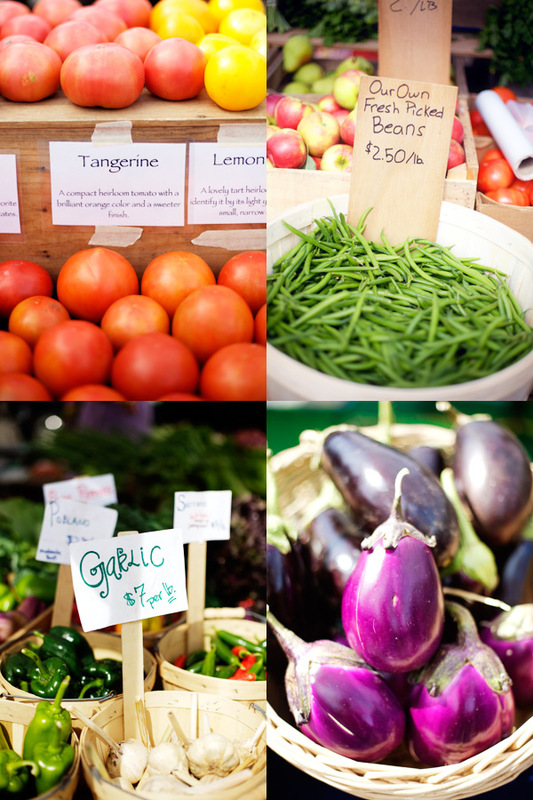 Oh….I love this…and I’m crazy about farmer’s markets! I love markets too.. especially when overseas when I get to see, touch & smell fruits, vegetables & plants etc that are hard to come by in my country. Good pics as usual Bea.. any photos of Lulu soon? Would love to see how she has grown! love love love the farmers market and the cakes look divine! lulu is one lucky baby. fascinating story, as always. i can almost picture tagging alongside, with my own goodies to take home from the market. What a lovely post! I so enjoy reading about your little adventures with your daughter 🙂 The cakes are lovely too! What a lovely story and delicious looking plum cakes. 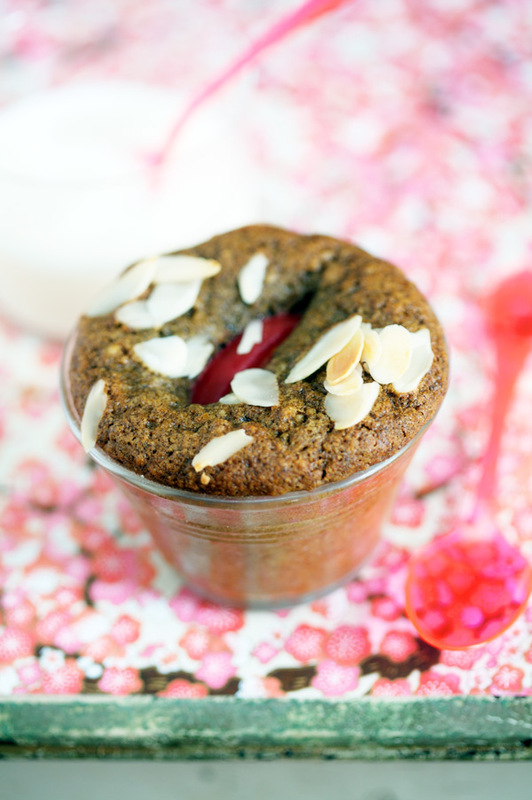 I have recently discovered buckwheat flour and love the nutty flavour it brings to things. Bet these tasted fab. I love love love looking at pictures of farmer’s markets. Of all the food pictures out there – nothing is more inspiring. I try to write about any farmer’s market I frequent especially this one. Lovely story and photos like everytime! Love to read your blog and can’t wait for your book to read! d’appétissantes recettes et toujours de belles photos! Beautiful! One of my favorite fall desserts is plum tart with a walnut cream under the plums…but I am itching to try this interpretation of that dessert…I love the idea of the buckwheat. And of eating them hot from the oven. beautiful images! 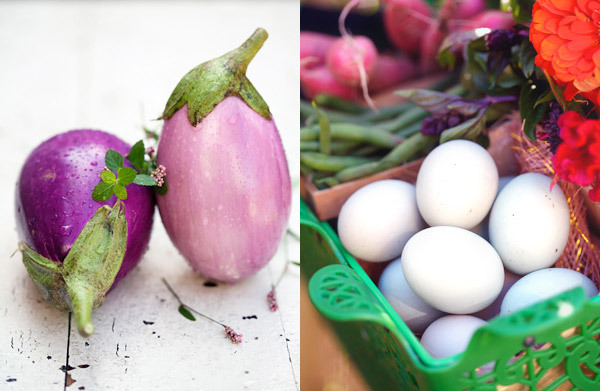 i can’t wait for our farmers markets to be in full bloom (not until late winter early spring). i also love the richness that buckwheat adds to cakes. it all looks delicious! I love your market images Bea. So gorgeous and colorful! I too always end up with too much or certainly more then I had planned to when going to a farmer’s market. All those yummy things just begging to be taken! I’ve always wanted to try those blue and green eggs – just beautiful. Great story and lovely images. The cakes look so delicious. Warm from the oven is the best. Love these!! I always enjoy little trips to the market! You always get to come back with the best stuff! I am completely jealous of your photography! Beautiful! Les photos sont vraiment magnifiques! Je vis a Boston (comme vous je crois) et je me demandais si ce fameux farmer’s market se trouvait dans les environs? They look absolutely fabulous! You’re lucky to have such a market near your place… The colours are so nice. And I totally agree… these eggs have a very amazing colour! Thanks for sharing this moment! I am always amazed by your photography and beautiful prose so this question seems a little off the mark, but where did you get that beautiful table? I know there must be a story there. can I use a larger cake pan instead of 8 small cups? Thank you everyone, once again, for your lovely notes. Esme, you can perhaps use a rectangular or round mold. The cooking time will need to be adjusted, though. I would say you might need to add 10 more minutes. Simply make sure to check regularly. 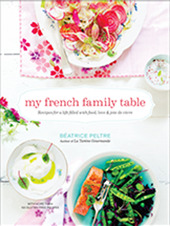 I do, Béa, I do love markets and I also buy much more than I plan to! Wonderful photos et jolies cakes ! Chloe, ce marché est celui de Belmont, le jeudi après-midi. Il y en a partout autour de Boston. Ca change juste de jour. The best way I’ve found to remember how to spell “fuchsia” is to remember that the flower and color are named after a Botanist named Leonhart Fuchs. It helps me to remember the “c”! J’ai decouvert les Araucanas sur le livres de L, et G. Laurendon sur les poulets (avant je n’imaginait pas qui il y avait toutes ces poules :), et je n’aurait pas imaginé que les oeuf aussi peuvent si changer de saveur.. I love your blog. I just nominated you for a Kreativ Blogger award. 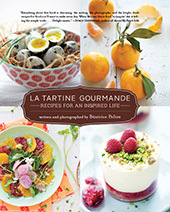 Beautiful pictures, wonderful recipes. I’m g-f and it’s just lovely to have a space where I can indulge my epicurean tastes! So pleased you tried them. What did you end up substituting for the buckwheat? Buckwheat is a heavier flour, so they don’t rise as much with it in the batter. Thanks for the feedback! Tu as deja beaucoup de commentaires sur tes post mais je vais quand meme rajouter le mien. C’est juste pour te remercier pour ces belles photos et recits. C’est toujours tres reposant pour moi qui vit dans une grande ville grise (Londres) de lire tes posts a ma pause dejeuner. Looking foward to read some more! Oh, my family used to raise araucanas! Such beautiful eggs!